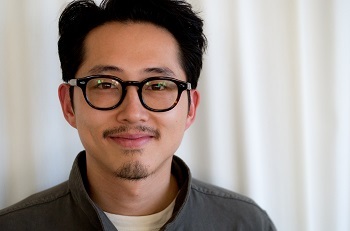 First up: Actor Steven Yeun joins us to talk about what he's been up to since his breakthrough performance in the "The Walking Dead" the series. For seven seasons, Steven played Glenn Rhee on "The Walking Dead." In this post-apocalyptic world where zombies roam the world Glenn's character was always quick to think strategically on his feet. Despite being kind of a loner in the series Glenn was an excellent leader in times of stress. He became one of the series' most beloved characters, and if we're being frank – he was quite a badass. He'll discuss what it was like when he first got that gig and what it was like to deal with people immersed in "Walking Dead" fandom. Steven's work can also be seen in critically acclaimed films like "Sorry To Bother You" and "Okja." His new movie, "Burning," is the first Korean language film he's performed in. It's South Korea's submission for the Academy Awards. He'll explain why it was so intimidating performing in Korean. As a kid Steven was pretty active at his local Korean American church. He was born in Seoul, South Korea and grew up in Detroit, Michigan. He says he wasn't the coolest kid on the block but that didn't stop him from trying to assimilate. Something he says he's kind of embarrassed about now. He reflects on his childhood, and explains why trying to fit in was one of the most difficult acting gigs of his life. There's something kind of fascinating and morbid about medical history, something unique to that genre. If you look into the history of medicine, one thing will become very clear, very quickly: for the longest time, we had no idea how our own bodies work. Sawbones is a podcast that airs on right here Maximum Fun. It's a show about all the gruesome, gross and sometimes very funny stuff we did to our bodies in the name of health and medicine. It's hosted by Dr. Sydnee McElroy, a physician and medical history buff, and her husband Justin McElroy. And now: Sawbones is a book, too! 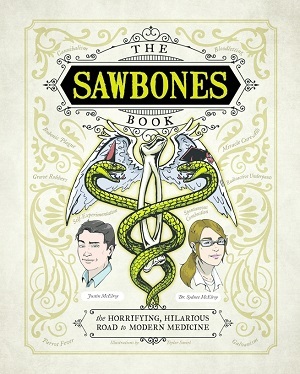 It's called "The Sawbones Book: The Hilarious, Horrifying Road to Modern Medicine." It's beautifully illustrated by Teylor Smirl. It's available for purchase now. Heads up: this is a conversation about medical history, so we'll be talking about blood, guts, injuries and other potentially squeamish stuff. If you're sensitive to that, we thought we'd let you know. 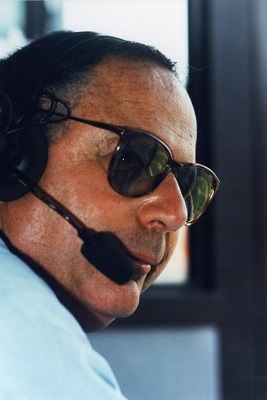 Jesse explains why Hank Greenwald, a play-by-play radio announcer for the San Francisco Giants, is his broadcasting hero.